Want to eliminate paper-based and Excel Timesheets? Our Timesheet solution allows your employees to enter time worked on particular projects in an easy to use and simple web based system. 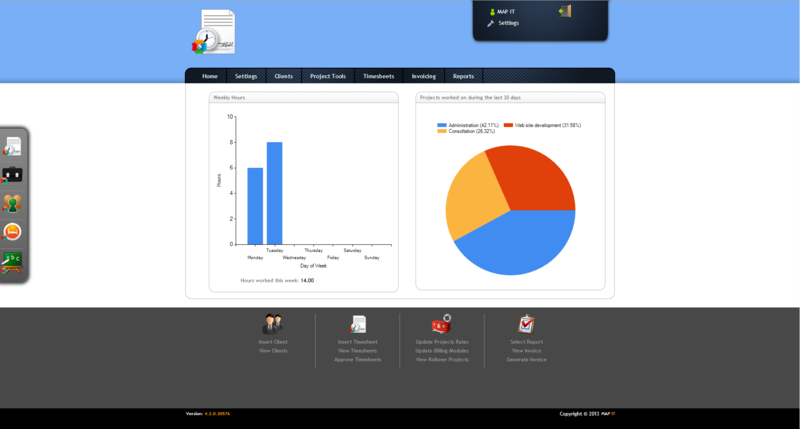 You can then manage billing, track productivity and view reports to aid in your project management. MAP.TIME allows you to utilize your resources efficiently by providing you with real-time project information. This information will allow you to plan efficiently for the future and help deliver your projects on time, every time.